Our latest team member joining Angel Business Club is Stephanie Sherman. An experienced business woman, Stephanie will assist in evaluating potential consumer business investments and mentor our existing company line-up to grow value and create substantial ROI for our members. Stephanie is the Founder and Managing Director of Brandocity, specialising in a customised consultancy for the Beauty, Cosmetics, Fragrance, Health, Spa, Lifestyle and Fashion Industries. Brandocity transforms brands in today's changing retail climate and helps them to build long term business plans with emphasis on shaping a Company's vision & strategies with measurable goals, actions and profitable outcomes. Stephanie is an expert in consumer engagement for beauty brands having created award winning campaigns during her tenure at Estée Lauder as well as delivering experiential retail initiatives in the luxury sector.She delivers focussed consumer insights & profiling and customer journey mapping with an innovative and creative approach. Her expertise in business strategy has allowed her to successfully create dynamic strategies for both large established businesses as well as new start up brands. She currently works with SME and start up businesses in the beauty arena in an advisory capacity to help them reach their full potential at speed as well as with more established businesses looking for funding .Stephanie is a well respected beauty expert with an entrepreneurial flair and an ability to execute with excellence. Stephanie holds a BSc Combined Honours degree in Business Administration with French and German from Aston University, Birmingham and also studied Social and Economic administration at the Sorbonne in Paris. 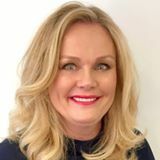 She is an active member and speaker of the Cosmetics Executive Woman organisation in the U.K. and a member of the Brexit Beauty Roundtable.